Karen Gaffney has swum the English Channel, given a TEDx talk and received an honorary doctorate. 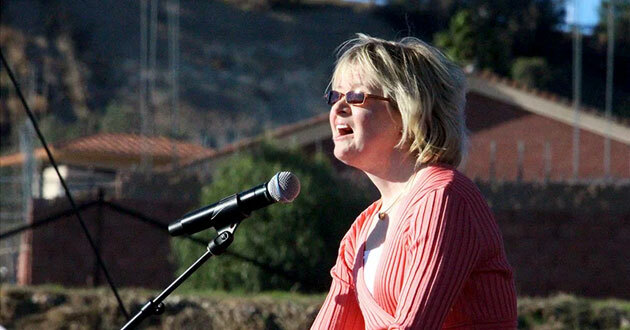 As a public speaker, she disarms audiences with her warmth and humor. For all these reasons, and because she has Down syndrome and opposes abortion, Gaffney, 40, also serves as a speaker for the pro-life movement. Her message is that people like her deserve a chance at life. Kathleen Domingo, the OneLife LA organizer, heard Gaffney speak while watching her TEDxPortland talk online last year, and soon realized that she would be just the person to address OneLife LA. Pro-life groups are particularly worried about the high proportion of women choosing to terminate fetuses with Down syndrome after prenatal testing, which has become increasingly safe and sophisticated in the past decade. This year wasn’t the first time OneLife LA has featured a speaker on abortions chosen because of fetal abnormalities. In 2015, its first year, Rick Smith, known to many as “Noah’s Dad,” spoke about being a parent of a child with Down syndrome. 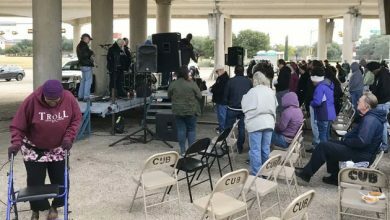 March for Life, one of the nation’s best-known pro-life groups, also stepped up its work on the issue after the release of a 2017 report from Iceland that showed a nearly 100 percent abortion rate for women who learn they are carrying a fetus with Down syndrome. 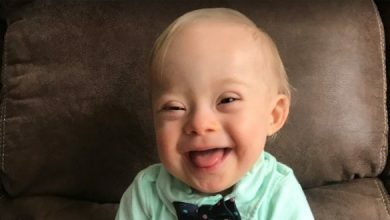 The movement got a boost last month when baby food maker Gerber announced that its 2018 “spokesbaby” is Lucas Warren, an 18-month-old with Down syndrome. 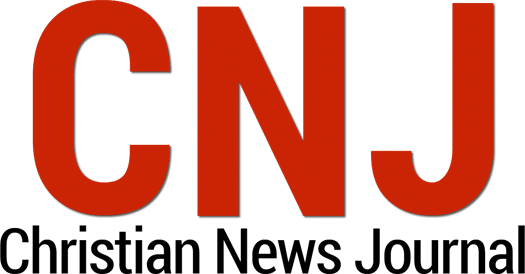 Jim Daly, president of Focus on the Family, told CBN News that Gerber’s choice could make people think twice about abortion. “Images have the power to revolutionize and transform hearts and minds,” he said. There are about 206,000 people in the United States living with Down syndrome, according to the Centers for Disease Control and Prevention. Some pro-life activists are concerned that elective abortions may one day mean there will be virtually none. A 2012 study in the journal Prenatal Diagnosis showed that between 1998 and 2011, at least half and as many as 85 percent of American women who learned that they would give birth to a child with the syndrome opted for abortion. In the United Kingdom, the rate is 90 percent. Down syndrome is marked by a delay in physical development, low muscle tone, reduced intellectual capabilities and shorter life expectancy — but there can be wide differences in how it affects people. As Gaffney attests, many children and adults with Down syndrome are integrated into mainstream classrooms and the workplace and lead full, happy lives. “I want to inspire so many people with Down syndrome and really tell them that people like me can live,” said Gaffney, a graduate of a Catholic high school and community college who works as a research assistant at Portland’s Oregon Health and Science University. Many who favor abortion rights say it’s unfair to use Gaffney and other adults and children with Down syndrome in the campaign against abortion. They say it wrongfully pits disability rights against a woman’s right to an abortion. 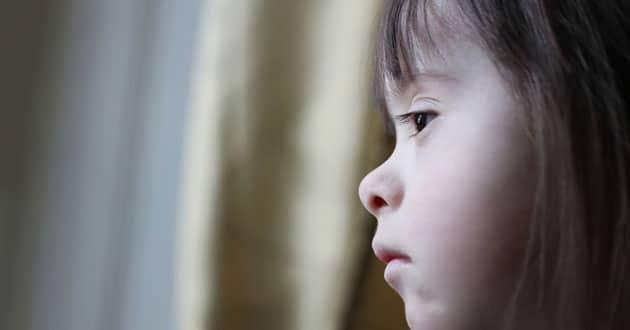 Abortion rights advocates further argue that abortion foes only showcase families who thrive with children who have Down syndrome, and not the women who feel forced to carry an unwanted pregnancy to term. But for those who don’t believe abortion should be a right — and perhaps even for some who do — Gaffney presents a strong argument against aborting a fetus with Down syndrome. In the past few years in the U.S., several states have introduced or passed bills banning the abortion of fetuses with Down syndrome. The debate on the bills often features proponents with Down syndrome, who, like Gaffney, show that their genetic abnormality has not precluded a rewarding life. According to the Guttmacher Institute, an abortion right research group, six states have passed laws that would require counseling or restrict abortion on the basis of fetal abnormalities. But only one of those laws prohibiting abortions in these cases, Indiana’s, remains legally enforceable. In practice, however, it is difficult to enforce. Gaffney, who began her public speaking in high school, where she swam competitively, stands out in particular for her ease in front of a microphone and her stamina in the water. In any given year, she can fulfill more than a dozen requests to speak before disability rights groups, college classes and parents of children with special needs. She also serves as president of the 20-year-old Karen Gaffney Foundation — a nonprofit founded to promote inclusion of people with disabilities. She often furthers its mission with her athletic feats. Gaffney has swum from Alcatraz Island across the San Francisco Bay on 16 occasions and was part of a relay in the English Channel in 2001. At her day job, she splits her time between the university’s hemophilia clinic, where she helps with clerical work, and the Down syndrome clinic, where she helps with scheduling. Gaffney also works in the physical therapy room at the Down syndrome clinic and meets with families to answer questions about what living with Down syndrome is like. 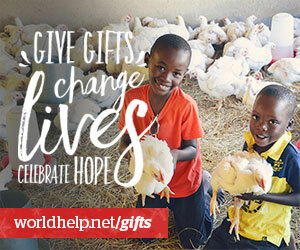 “I especially like meeting the families who come in with their children,” Gaffney said. Gaffney earned an associate of science degree and teaching certificate from Portland Community College, where she graduated in 2001 with a cumulative grade point average of 3.41. She also holds an honorary doctorate of humane letters from the University of Portland. She swims almost every day. In her free time, she enjoys going to musicals, playing with her goddaughter, entering card tournaments with her father and doing puzzles. Her favorite author is Jane Austen, although she’s currently reading “Tough Girl,” a book written by another Portland swimmer, former Olympian Carolyn Wood. 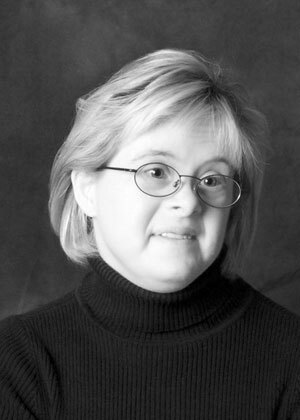 Gaffney expresses hope for her future and for others with Down syndrome. “It was a wave of humanity that lifted us out of institutions, brought us home, got us into schools and included us in the community of life,” Gaffney said during her OneLife LA speech. “It will require another wave of humanity to stop the targeting of Down syndrome around the world.